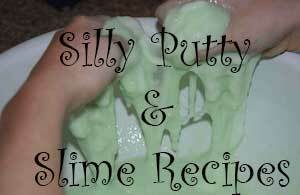 Silly putty recipes for your kids fun and enjoyment. 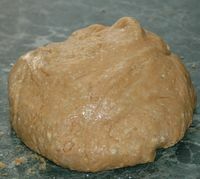 Silly putty recipes are like slimy play dough. What kid doesn't like slimy stuff! 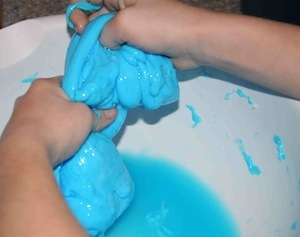 Silly putty can be called gak, goop or oblick but whatever name you want to call it cooking, creating and playing with it is great fun for kids. 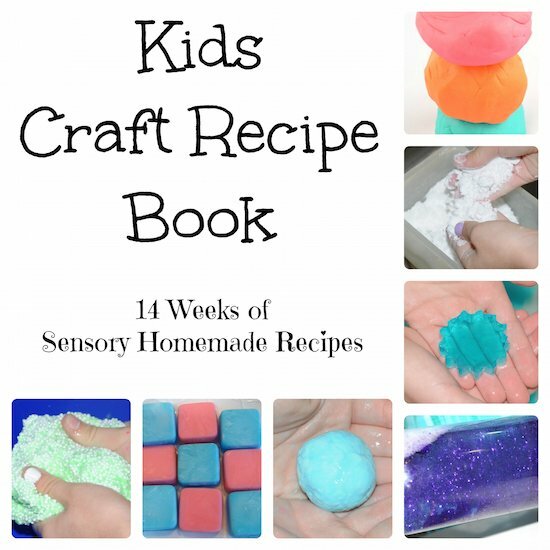 Our craft recipe book has 14 recipes that use common ingredients and provide kids with on-going activities after they create the recipe. Putty can stick to clothing, so have your child wear an apron. If it does become stuck on clothes, just soak in warm water to remove. This recipe is for Peanut Butter Putty below. 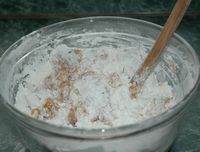 In a bowl, mix glue and one cup of the starch together. Stir in a few drops of food coloring, if you wish. Cover bowl, and live it overnight. The following day slowly stir in with a spoon 1 to 1 1/2 cups of the starch until a big blob forms. Pour off extra starch. Store in an air tight container. Mix three ingredients together in bowl. Spoon into plastic sandwich bags or jars. Label items warning that this is messy stuff, use only on easy to clean surfaces. 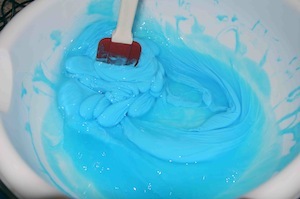 Combine glue, water, food coloring in bowl. 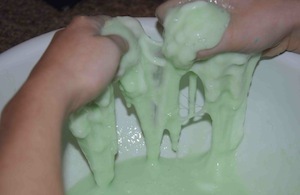 Dissolve borax in hot water then slowly add to glue mixture. Working quickly, as the mixture will thicken, Drain off excess water. Store in plastic bag or container with lid. Mix in cornstarch and Â½ Cup water in large bowl or flat casserole dish. Add in food coloring or pkg of Kool-Aid for color. If too dry add a few more drops of water until consistency you desire. 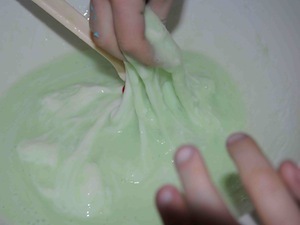 Stick your hand in to find a glop of flubber! This is a very, very easy home recipe. And you don't need any measurements! Mix any amount of glue and water together you want. But mix less water then glue so its slimier. Then mix in a little bit of the Jell-O in the water and glue. Add LOTS of yellow and green food coloring. Then stir. Back to Craft Recipes from Silly Putty Recipes.